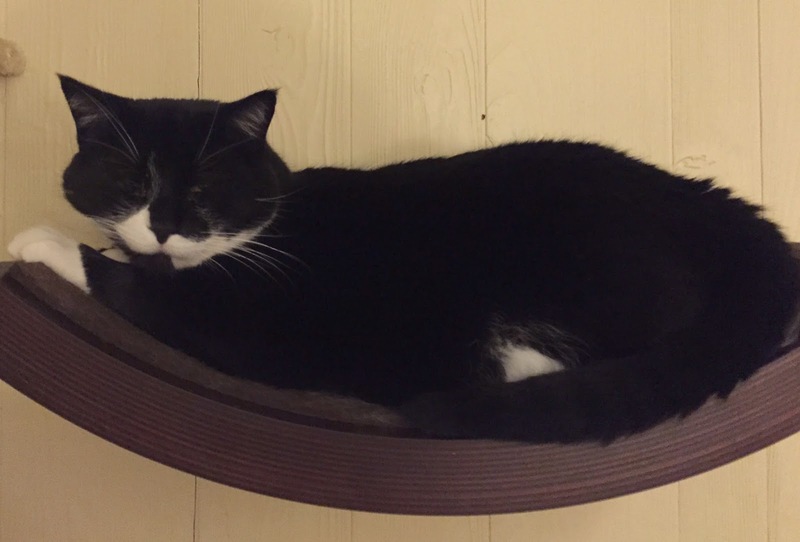 Jaq: We love our Wave Perch by Urban Pet Haus! It is so comfy! Mama likes that they look great. 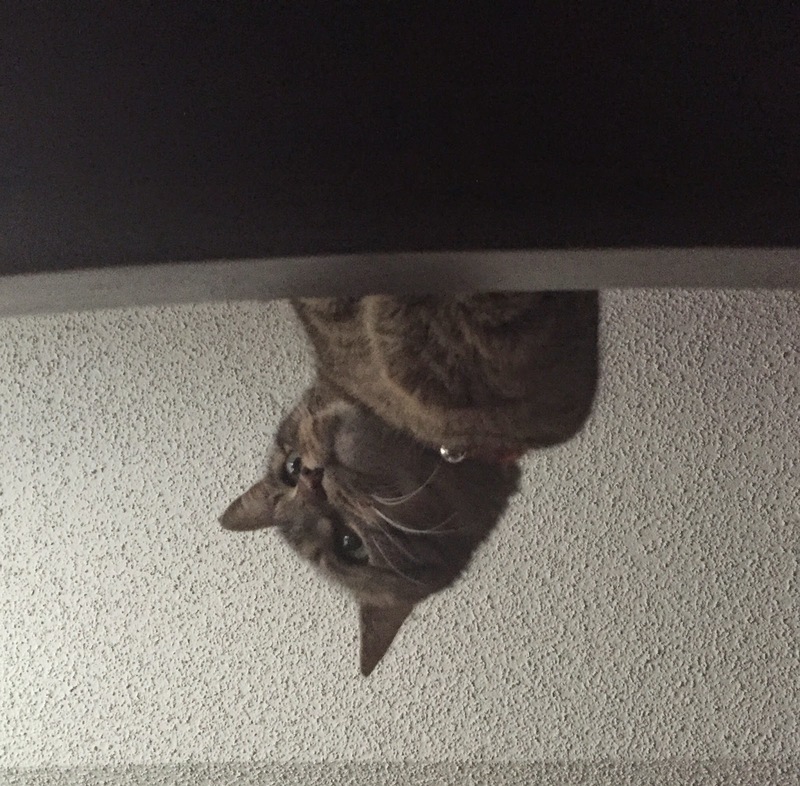 Sometimes us cats like to be up high like we are in trees. These perches are a great way to do that. The most important thing is to have the humans install them in a room where you can watch over them. Mama has them over her bed. Sometimes we watch her sleep like Gus in the photo below. Even Pearl likes to sleep on our Wave Perches. Marty, the owner of Urban Pet Haus is really nice too! Mama talked to him when she ordered our perches a couple years ago. Then when she ordered the replacement felt pads a couple weeks ago, he sent the second set in another box so we could store them easily. He also sent extra stickies to hold down the felt. The perches come in two sizes. We have both. Pearl likes the small one but Gus and I prefer the large one. They are really sturdy too! 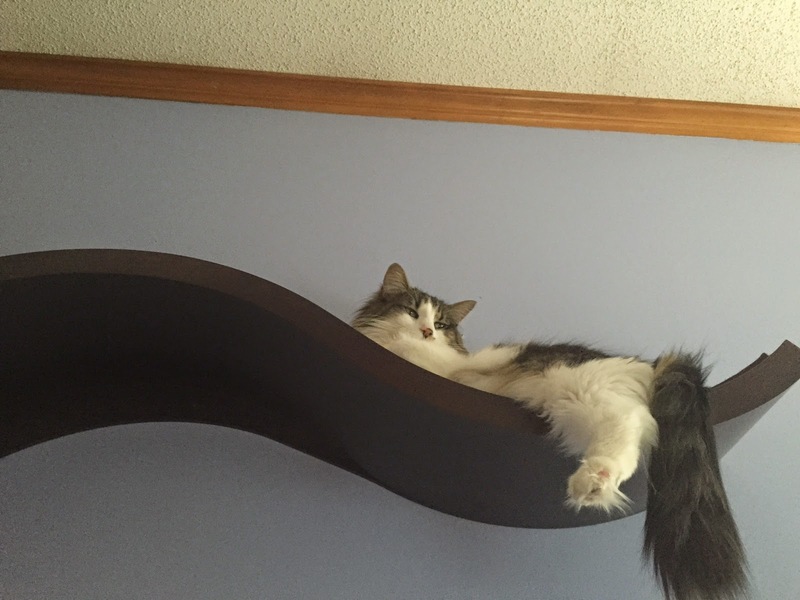 We've looked at those cheap cat shelves and I don't think they would hold a big boy like me. 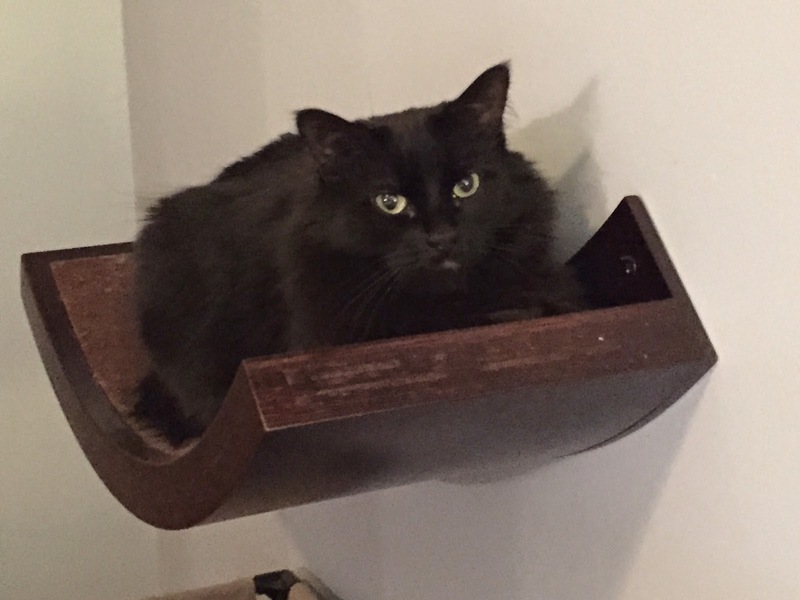 We liked our perches so much we even gave one to Grandma for Christmas. 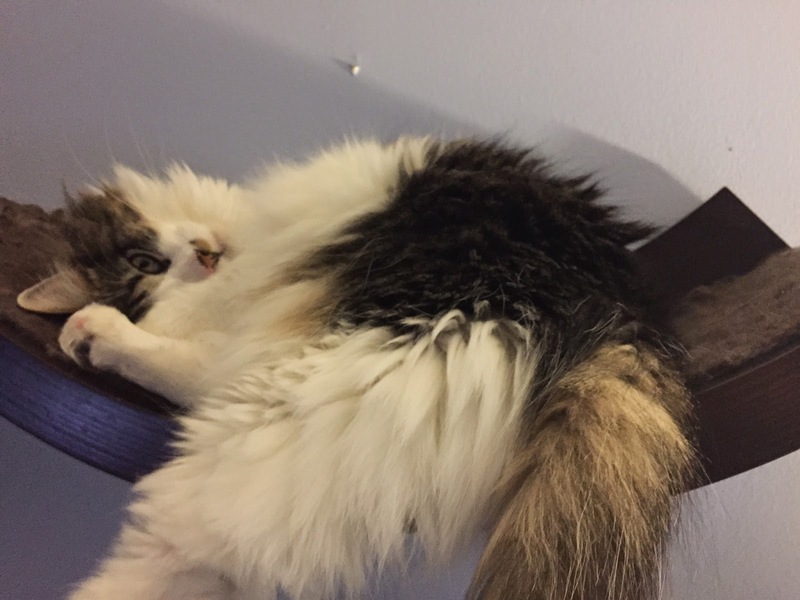 This is a picture of our Uncle Clyde using his perch. He's even bigger than me! The wave perches make a great gift! We highly recommend them! These are pawesome! We have to meow at Mommy to get some. those look meowvelous! LOVE the idea of installing them by the bed so you can watch them sleep! Those are so cool! We want to get us some of those for sure! Now to convince The Mom that we NEED them! Those are great, you all look very content. We love your perches. We've been begging the mom to get us some of those. Clyde is a big mancat - 18 pounds! He still fits.